JBONE AKA JUSBIZNESS | www.griphop.com | Grip-Hop Music! : Dream Catcher ALBUM! 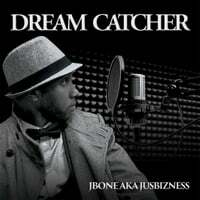 The sophomore effort of JBONE AKA JUSBIZNESS... Rises to the challenge of his previous albums... Two thumbs way up!!! A Real Hip-Hop album that's profanity free and full of good music you can listen to all the way through... You will not be disappointed!! !